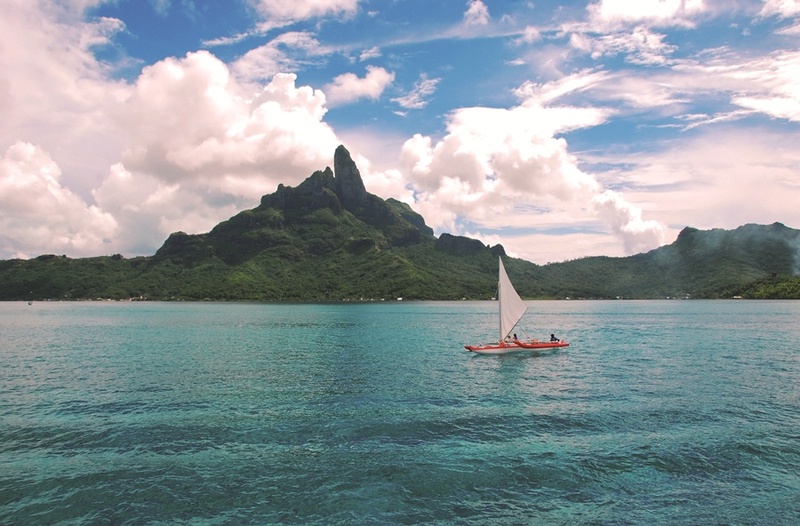 Cruising the spectacular islands of French Polynesia will be a highlight of your Pacific adventure. In February 2011 we made the mile stone passage of the Panama Canal again as the start of yet another season in the fantastic Pacific Ocean. For me this is my third season in the Pacific on as many different yachts. The first yacht on which I came across the Pacific was named AlumerciA, back in 2002. This yacht and its owner were all about exploring the world and so we did! The second time in the Pacific, I was onboard Twizzle, a very sophisticated Feadship and I think that throughout our South Pacific season we managed to maintain the very highest of lifestyle onboard even in the most remote places, like Nuie, the Cook Islands and PNG. 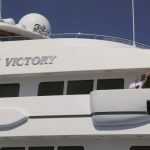 This season we are aboard Ocean Victory and are on the owner’s cruise around the world. Again this is a very comfortable Feadship and bigger again than the former yachts. Coming across the Pacific for the first time onboard AlumerciA, I thought this was going to be a once in a lifetime experience! But here I am, having just completed my third season in the Pacific. I feel extremely fortunate to have worked for owners that want to take their yachts to this fantastic cruising ground that the Pacific Ocean is. The Panama Canal passage is always an exciting event. 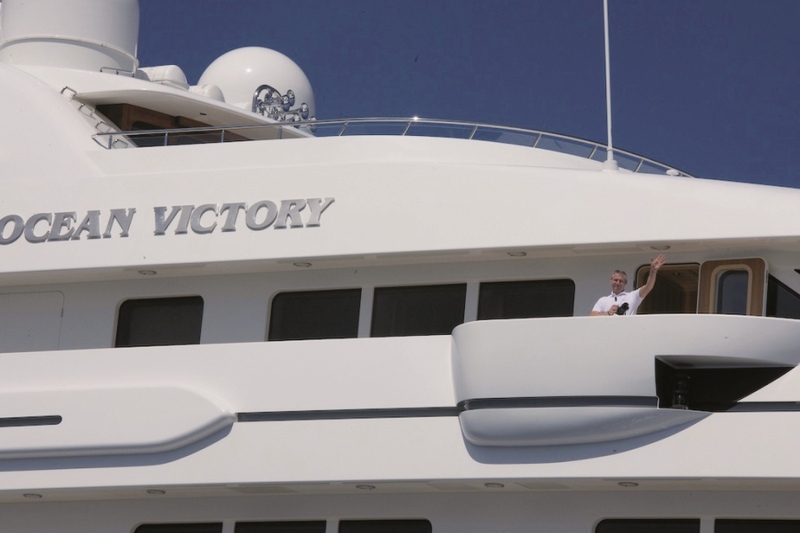 The efficient help of Associated Yacht Services (Alessandro Risi) yachts@shipsagent.com makes it trouble free. Panama is a great place for a large stock-up of provisions and stores, because although it is possible to get virtually everything out in the Pacific Islands it is generally going to be a lot more expensive. Yachts up to around our size of 75 metres can get in to the Flamenco Marina on the Pacific side of the canal which is great for loading and bunkering. We went on to Costa Rica first, which is fantastic cruising in February to April. By the time we were ready for the big leg across to French Polynesia we were informed that the Flashpoint of the available fuel in Costa Rica had dropped to below the minimum 60° that we (and IMO regulations) require. So we could not get the fuel for our big crossing in Costa Rica. 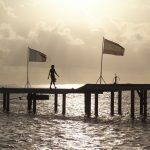 I looked into alternatives and contemplated steaming two days back to Panama, but we researched a much closer option in Nicaragua and this proved a very good option. We took our bunkers in the port of Corinto, which is an ISPS commercial port. Our fuel agent set us up with the local agency Griffith; www.jlgriffith.com. The whole operation was handled professionally and the fuel was of good quality and much cheaper than in Costa Rica. Good to remember when cruising in Costa Rica. So with full tanks of fuel and fridges and freezer stocked full we got underway, with no landfall until French Polynesia. Before long we settled into our routine for the next 12 days or so. The Equator crossing always provides a good opportunity to break the routine and so it proved again this time. The Pollywogs were presented to Captain Neptune and his Queen and tested if they were worthy of crossing his seas. Everyone was allowed across the line, so onwards we went. On the 23rd March we dropped anchor first in Baie de Taiotae, Nuku Hiva, in the Marquesas Islands. 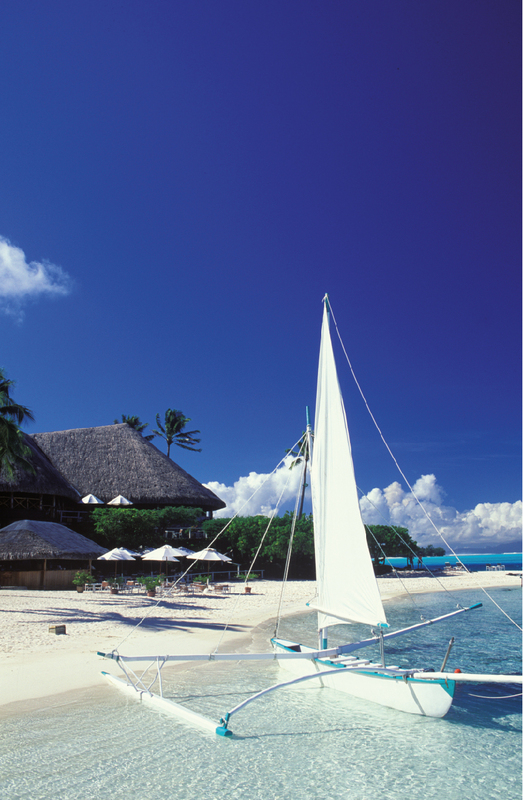 This is the first and most remote group of islands of French Polynesia you come to when voyaging from America. They are rugged edged islands and look like you have just arrived on a set of Jurassic Park. A representative of the agency Tahiti Ocean, Anne Moetai (www.tahiti-ocean.com) was there waiting to clear us in. This place has a slow island pace, but offers the first amazing impression of the Polynesian culture. If absolutely necessary it is possible to get fuel here, but if you can avoid it and make it to Tahiti, I would recommend that. It is also possible to fly guests out to here. On my first Pacific crossing I actually had guests leaving from here who were onboard for the Pacific crossing. If you do stop in Nuku Hiva make sure to have a tour around the island as it is truly unique. 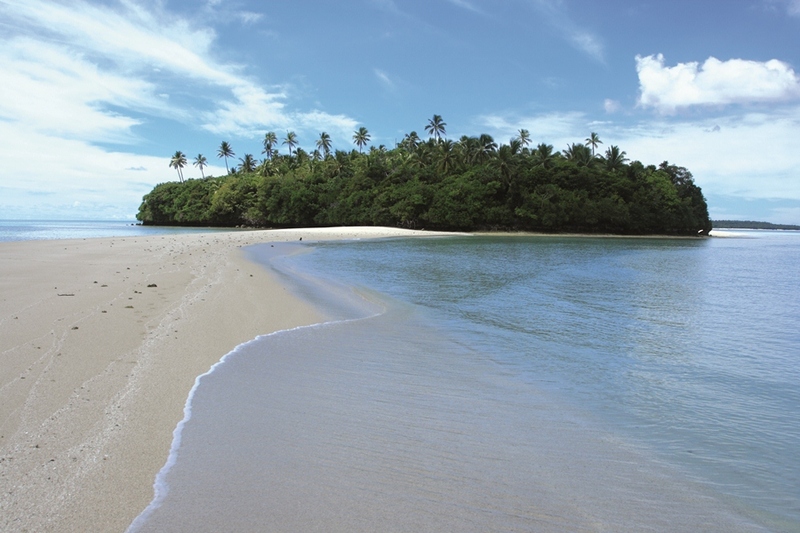 The scenery is breathtaking and the island has many remains of ancient Polynesian cultures. The bay more to the west, Baie de Taioa, is also an absolute must see. This is one of the most dramatic bays that I know of anywhere. 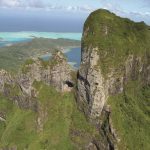 I have not personally visited any of the other Marquesas Islands, but they seem to offer some very interesting exploration opportunities for yachts seeking remoteness and discovery. From here we moved on to Rangiroa, which is part of the Tuamotus. 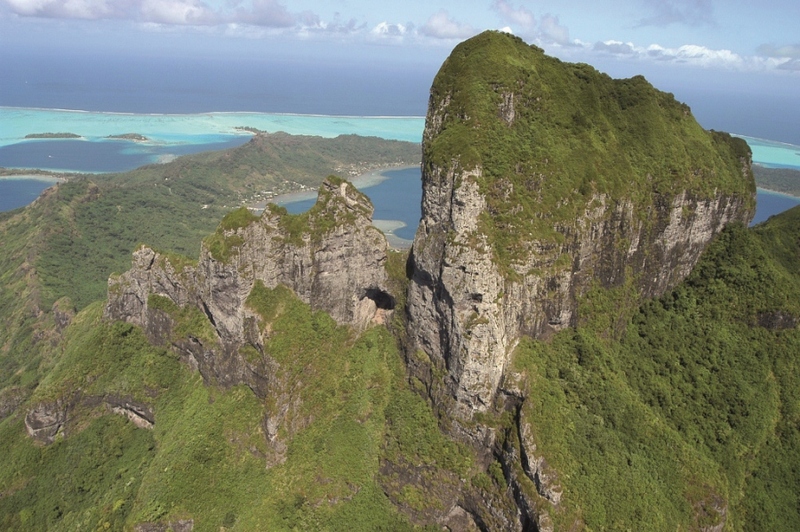 This incredible rim of Atolls is the true playground of French Polynesia. The coral reef islands that make up these atolls are barely above sea level, but offer sheltered anchorages and incredible beaches. We stopped for a couple of days just so the crew could have a sneak peak before carrying on to Papeete to start preparations for our guests arrival. Papeete on Tahiti is the capital and center of French Polynesia. It is a place with lots of hustle and bustle, which you would not immediately expect in the middle of the Pacific, but it is great because you can find anything you need with an international airport and good support and there is even a dry dock facility. There are two locations to stay with a yacht, either in the full-service Marina Taina, for up to 55 metre yachts, or larger yachts can dock at one of the cruise terminals directly in town. I have only worked with Tahiti-Ocean when in French Polynesia, since my first cruise here in 2002. They are great professionals and can help you out with anything that you may require out here. As Tahiti is literally in the middle of the Pacific, expect prices of products to be 30 – 70% more expensive then you are used to. For fresh or specialized products this can even be higher. Tahiti is part of the Society group of islands of French Polynesia. 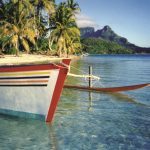 This is where you also find the iconic islands Moorea and Bora Bora, but also Raiatea, Tahaa, Huahine and Maupiti. The Society Islands are the most developed of the whole of French Polynesia and are the ones where you will find the famous resorts. There are many great anchorages around these islands and many luxury resorts, restaurants, spas and all sorts of shore entertainment. When planning guest cruises it pays to plan the trip to go mostly downwind. The swell between the islands and especially between The Tuamotus and the Society group can be moderate. 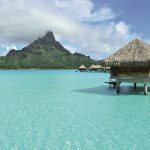 We found preparing the yacht for cruising in Tahiti (Papeete) is great, but the Tuamotus have become our favorite spot to have our guests flying in to (Rangiroa or Fakarava) and starting the cruise up there; there is really no better way to start a holiday! Walking from the runway to a jetty, while seeing the yacht anchored in pristine turquoise water, boarding the tender and in less than five minutes enjoying a cocktail aboard the yacht surrounded by palm tree rimmed beaches. 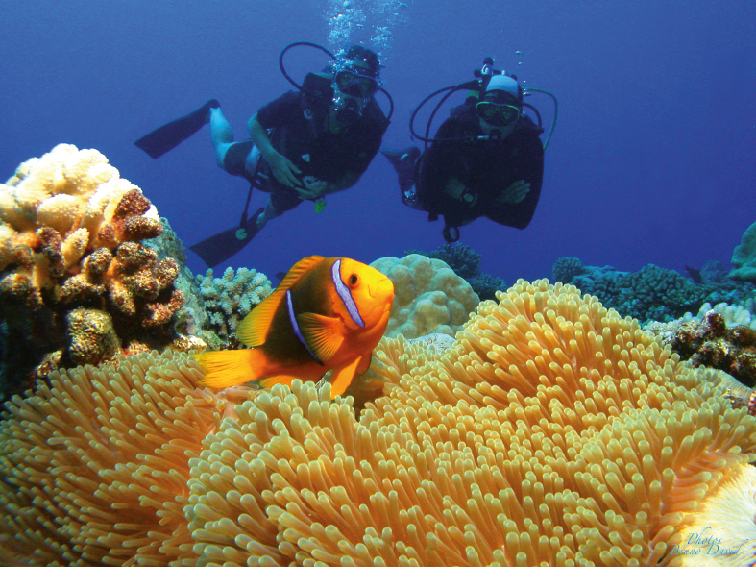 French Polynesia is of course also a world class destination for diving and snorkeling and in particular the Tuamotus. I do not think there are many other diving sites where it is possible to see so many BIG fish at once. You can encounter here anything from schools of Manta Rays, dolphins, lots and lots of sharks, etc. 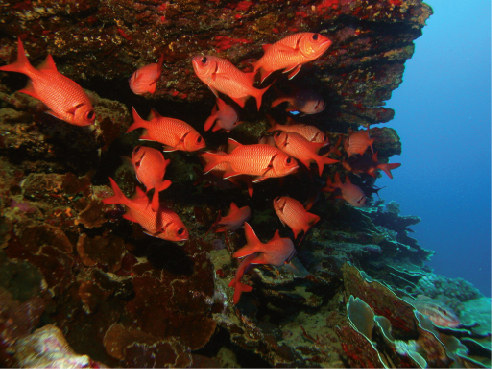 The corals here are not as varied and colorful as seen on other diving locations, but here it is about large amounts of big fish. Also for guests that are not into diving there is enough to get excited about; beaches, snorkeling, pearl farms or just stunning scenery to enjoy from the yacht’s decks. 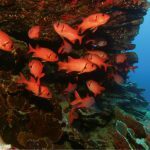 We have often used to great satisfaction the specialist dive guide services of Rodolphe Holler of Tahiti Private Expeditions; (tahiti-private-expeditions@mail.pf) who set us up for diving in the Tuamotus. They provided us with an onboard dive guide that was extraordinary and made the whole experience magical and memorable for our guests. 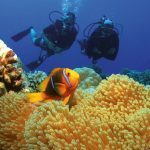 Remember before heading back to the Society Islands that the diving there is much less spectacular, so get your diving in the Tuamotus part of your cruise; from Fakarava,Toau, Apataki, Rangiroa and many more places to choose, from very remote to relatively developed (Rangiroa). 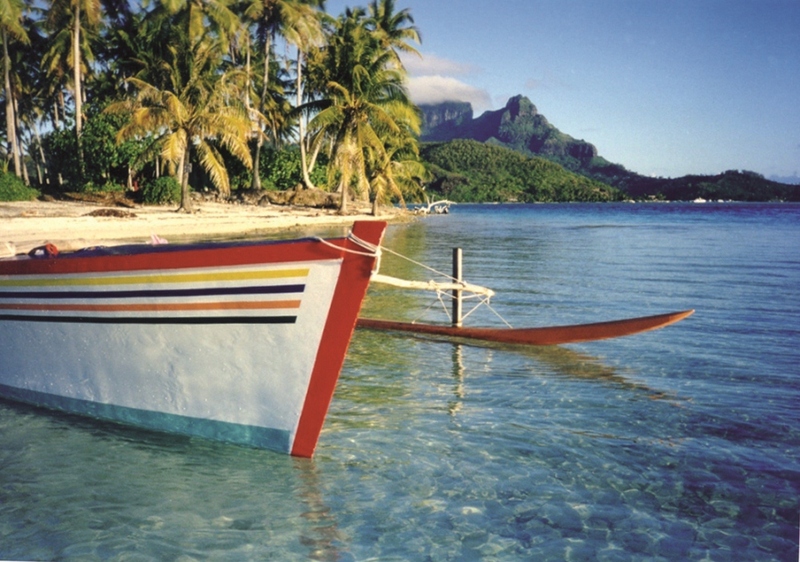 The first anchorage back in the Society group for us was Cook’s Bay on the spectacular island of Moorea. Make sure you arrive there in the morning when guests are just having breakfast. Our crossing through the night from the Tuamotus had been a little rough, with rather large swells on the beam, but the stunning arrival in Moorea the next morning made this all forgotten quickly! The next bay D’Opunohu is almost as breathtaking and from here you can reach by short tender ride “Sting Ray City”, a unique opportunity to hand feed rays while standing and swimming in the water amongst them. Moorea is a beautiful, tranquil island well worth exploring by car or scooter; the view point over the two bays is incredible. There is also a great restaurant here called “La Villa Des Sens” if your guests are up for a gastronomie treat. From here it is a bit of a steam to Huahine, but downwind and easily doable in a day. Our first stop in the large Moroe Bay was great for visiting the pearl farm out in the lagoon. This is very interesting to see and gives a good idea how these magical black pearls de Tahiti get produced. On the entrance of this bay there is a guy called Marc (organized through Tahiti-Ocean) that organizes private picnics, set-up in one foot deep crystal clear water. This can be even further lightened by Polynesian entertainment and music. 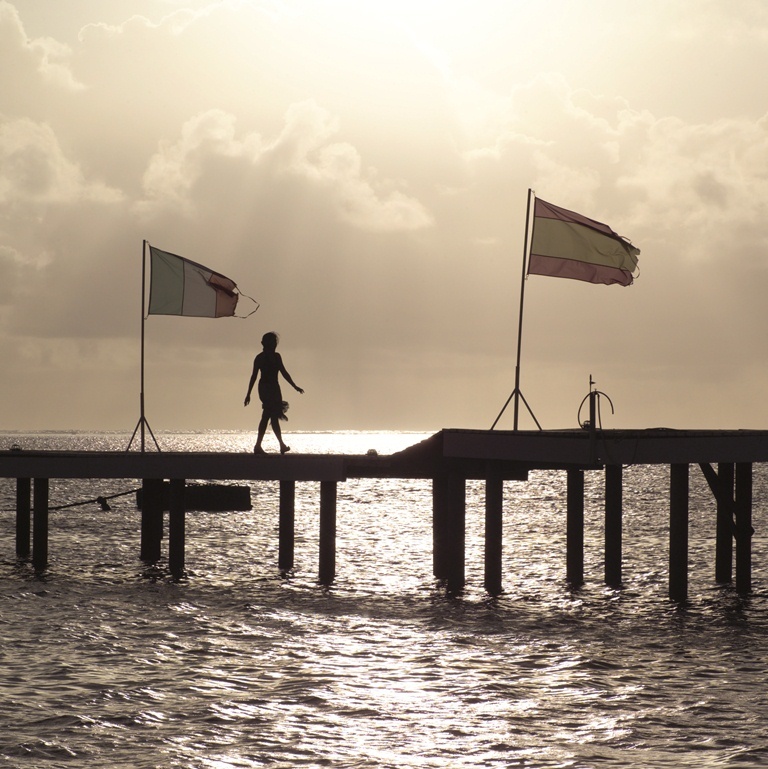 Port Bourayne on the West side of the Island is an anchorage not to miss. The small passage to this anchorage after entering the lagoon on the Island’s Westside is very pretty, especially late afternoon. 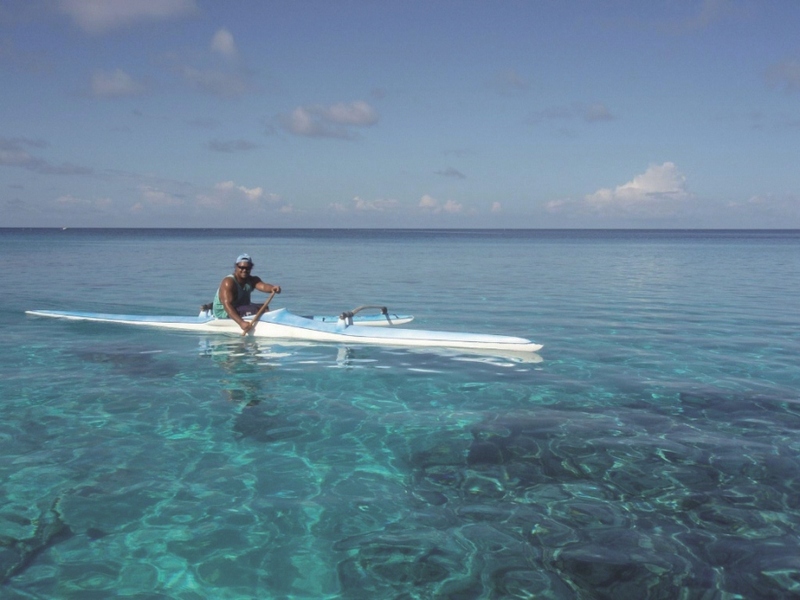 The lagoon of Huahine is great for an exploration tour by jet ski and/or tender. Most parts of the lagoon are too shallow for the main vessel to go around, but well worth seeing. The jet ski offers a unique perspective here. On to the next Island, which are actually two islands Raiatea and Tahaa within one lagoon. 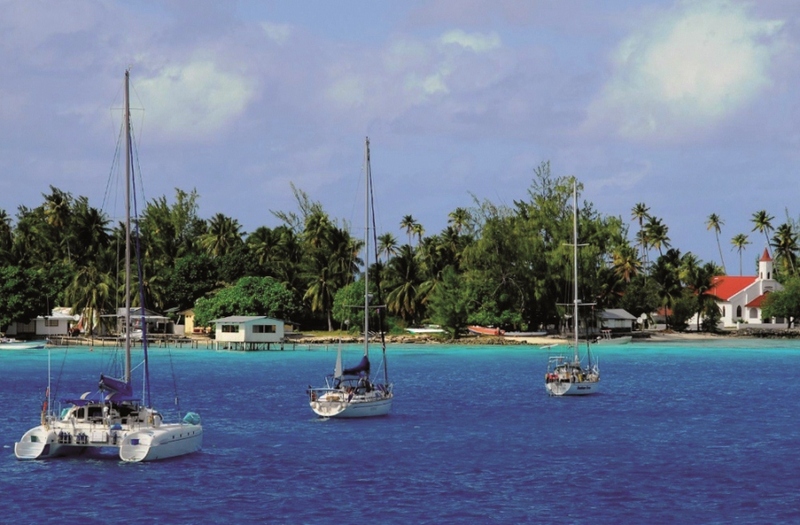 Raiatea has a reasonable town and a nice bay Faaroa. This gives access to a possible river tour on the Faaroa river at the far end of the bay. But what is an absolute must is the north side of Tahaa. The rim of small little sandy islands (motus) there are fantastic. 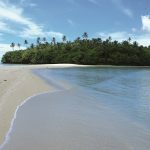 Just on the North West end it has a beautiful anchorage off Tautau and the “Le Taha’a” Island Resort & Spa. Guests can treat themselves here to body treatments; soothe, moisturise and relax. 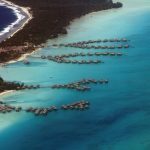 It is the only one of its kind in the archipelago and it offers unsurpassed views of the island of Bora Bora, on the ocean side. 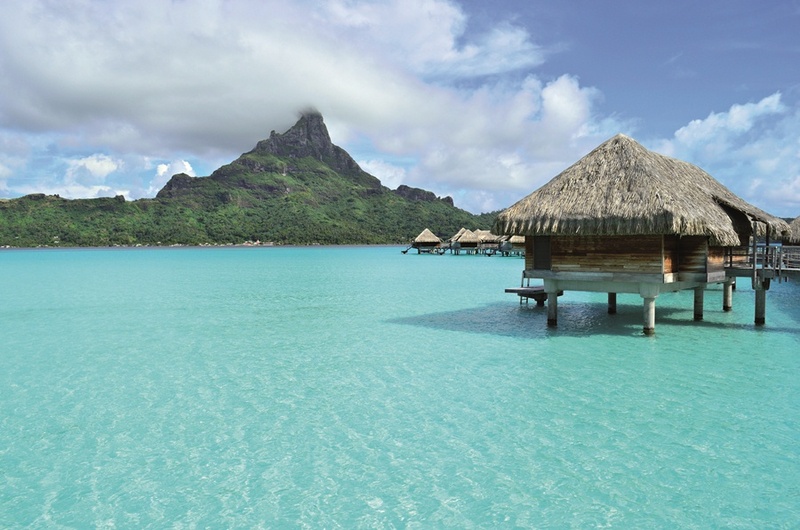 And on to our final destination of this cruise, Bora Bora, with its iconic shape and romantic name. I think that it probably has a few too many hotels and resorts on it, but it ticks the box for places to see and visit once in your life. Guests can satisfy their pearl shopping needs here and can pick and choose from several luxurious shore facilities for dinner or activities; Four Seasons, St Regis, Matira Beach etc. and of course there is the well known “Bloody Marys”, the place that everyone knows! 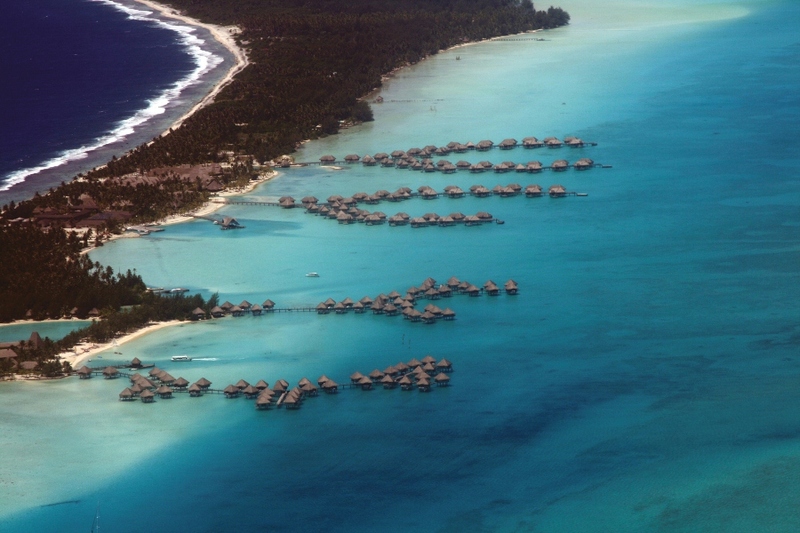 Our guests left the yacht in Bora Bora and flew back from there to Papeete and onwards home. They had such a great time that we repeated the cruise in slightly different order a few weeks later! 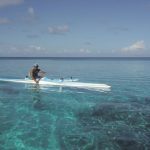 French Polynesia is a hassle free cruising destination, especially with the professional help of the very efficient agency of Etienne Boutin, Tahiti Ocean. Once you have made the long crossing to these islands you find yourself within a short hop from most islands. Some days the swell may be up between the islands, but you can always find a protected anchorage sheltered by the reef, with no rolling anchorages here. 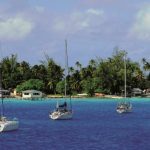 The fantastic mix of Polynesian culture, development and French government support has made French Polynesia into a very comfortable place to cruise. 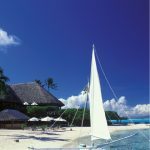 Enjoying it from aboard a private yacht is the very best way to experience these islands and take in all the variety that Tahiti and her islands has to offer. 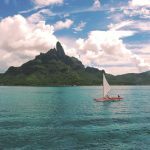 French Polynesia will not disappoint, the reality here is better than the pictures, and it remains my very favorite cruising destination.